Edmonton police officers worked a different beat Wednesday. Members volunteered their time to act as personal shoppers for 26 students from St. Matthew, St. Vladimir, Princeton and Beacon Heights schools. The annual community program, called CopShop, gives a $200 gift card to each participating student to use at the Londonderry Mall for their Christmas shopping. “A lot of kids come with their lists, and they’re lists to buy for their families. They’re not necessarily looking to buy things for themselves,” said Sergeant Dan Tames. 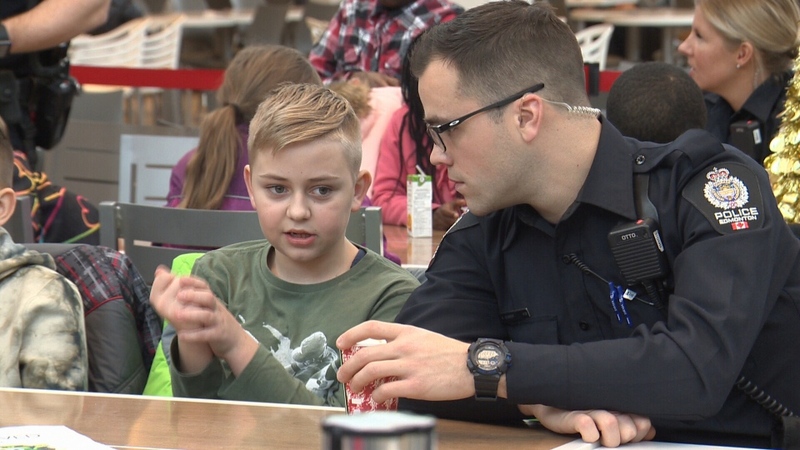 The students were chosen by school principals and Edmonton Police Service liaison officers according to need, academic performance and other achievements or efforts making a positive impact in the community. CopShop is meant to help deserving youth and enable them to build positive relationships with EPS. One student, Joseph Ugw came with a list: books, running shoes, and high tops for his sister. He said he didn’t know how nice the officers would be until they started chatting. On Wednesday, Police partnered with 26 deserving youth who received gift cards for holiday shopping as part of the CopShop program. 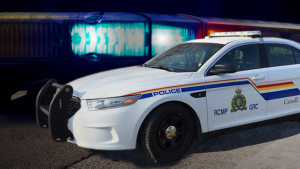 Four armed robberies that occurred between April 18 and 20 are being investigated by St. Albert RCMP.